When planning their season, coaches put a lot of thought into planning their baseball practice sessions. There are often several goals to accomplish, and when working with young players, things tend to move slower than anticipated. In order for practice to be effective, coaches should focus on quality, not quantity. The team will be much better off if each player practices a move correctly 10 times, rather than practicing it rushed and incorrectly 20 times. Coaches should use the following tips as a guide to running smooth, effective practices. The most efficient method for practicing several drills within a practice session is through the drill rotation. With this approach, the coach will set up various stations throughout the field where players will work on specific skills. Players will be divided into small groups that rotate through the stations together. The simpler the skills, the better, because explaining a complicated drill each time a group comes to a station will waste time that could be spent practicing. For this method to be successful, it is very important to have assistants or parents to oversee each station. These helpers should be able to understand the drills and know what to watch for to make sure players are performing them correctly. They don't have to have a coach's knowledge, but they should be told what improper form looks like so they will be able to correct players as needed. While the players are warming up, brief the helpers on each drill they will be overseeing. Ideally, enough helpers will be available so the coach can be free to observe all the stations. Before practice begins, the coach should determine how much time players should spend at each station. However, he should also be aware that sometimes more time is needed. Being flexible is crucial when coaching young players, and coaches should remember that it is important for each player to be able to practice the skill correctly. Make up for lost time by making sure players are hustling from station to station, and take notes on where each group left off so they can practice that drill at the next practice. Finally, coaches should focus on making practice fun. In addition to regular drills, some of the stations should be games where the players work on the skill while competing with their teammates. Young players can learn just as much from games as they can from drills, and they often work harder when there is a competitive element. Additionally, having fun at practice will instill a love of the game and make the players excited to come back the next time. 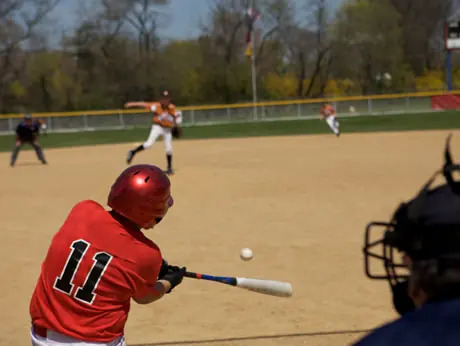 For more drills and practice tips check out these free youth baseball coaching videos today.